Afro-pop sensation and unmatch’d beauty MUSEBA has treaded the urban path with footprints that cannot be effaced. She debuted with ”Nayo” off a 12-track-album titled ”One day”. With an electrifying song and impeccable video titled ”Bom bom bom” unveiled in 2012, she was just that unexpected torpedo that took Cameroon by storm. Her ineffable charisma , irresistible charm, mellow-voice has attracted the affection of millions of fans across Africa. Her name ”Museba” which means in Duala language ”Trumpet” is a signal of her soul-searching brass notes , panache and flair she’s brought in the Cameroon urban music industry. NexDim caught up with ‘every man’s dream girl friend” for an exclusive interview about her career exploits and prospects. Let’s delve into her humble life! NEXDIM EMPIRE: Hello Museba. How are you doing? MUSEBA: I’m good. Thank GOD ! NEXDIM EMPIRE: In brief, who is Museba? MUSEBA: I’m just a young African lady who has a deep passion for music and other arts, I just wish to share it with the world all my life. NEXDIM EMPIRE : So many people get confused about your origins. Can you please clarify the ambiguity? MUSEBA: Yes ! lot of confusions. My Dad is Cameroonian, my mum is from DRC Congo and I was born in Abidjan. NEXDIM EMPIRE: Did you ever nurse the thought that ‘bom bom bom’ could be successful? MUSEBA: I was expecting it but I’m still looking for more success not only the positive one from ”Bom bom bom” but in a general view. So the best is coming soon !! MUSEBA: I got different and new experiences after ‘Bom bom bom’ about perfomances collabs around the world and I appreciate it. NEXDIM EMPIRE: How was your expedition in Abidjan? MUSEBA: Abidjan was crazy good ! I was born there and it’s always good to go back home and see my family. I got the opportunity to perform at Kim Kardashian’s Night in Abidjan and I’ ve done my next upcoming single there too with an Ivorian sound producer. NEXDIM EMPIRE: Is there any significant difference between the urban music scene in Ivory Coast and Cameroon? MUSEBA: There is a big difference ! Abidjan offers lot of events and platforms, TV shows every months in the music industry. They respect artists no matter where you come from and they are well organized (professionnal). I hope our Camerounian industry will take this example. NEXDIM EMPIRE: Are you planning on any tour or concerts in Cameroon? MUSEBA: No tour actually only showcase as we did for some Night Clubs in Douala and Yaounde cuz I’m moving a lot and I’m working on new projects .But I wish to make it happen later. NEXDIM EMPIRE: Is your beauty and charm an additional attraction to your music? MUSEBA: I think yes. But it is just an additional one as you said , the art is definitly the basic one. NEXDIM EMPIRE: Does it work positively for you? MUSEBA: I will reply positive and negative because some people just think that after beauty an artist like Museba does not have a brain; so I’m showing that it’s not a general case! MUSEBA: As a humble person, I will say that success is a long road of hard working, perseverance, courage and opportunities. So it’s the begining of a story, ‘Museba’s story’. NEXDIM EMPIRE: What’s your plan after being applauded by millions of fans across Africa? MUSEBA: I’m still working on new stuff and especially on my new single. I have some performances out of Cameroun too. NEXDIM EMPIRE: Who do you wanna work with in the future? MUSEBA: I wish to work with every people who can inspire me. And there are lot of! NEXDIM EMPIRE: How do you cope with fan hysteria or excitement? MUSEBA: I’m just keeping cool, a positive attitude with a big smile. NEXDIM EMPIRE: What do you often do outta music? MUSEBA: I‘m networking, writing projects and traveling to create opportunities. NEXDIM EMPIRE: Are you married? MUSEBA: Not yet. I wish one day. NEXDIM EMPIRE: What’s your favourite meal? MUSEBA: Awww! I like African dishes like ‘Couscous GOMBO’ and I like grilled food. NEXDIM EMPIRE: What’s the most embarrassing experience you’ve ever had in your career? MUSEBA: Aww! I’ve worked with some people in Cameroon who don’t understand that “time is money” and who weren’t honest and enough passionated about their business. But I think it was an experience which taught me lessons. Now it’s the past. NEXDIM EMPIRE: What’s your best experience? MUSEBA: My best experience has been performing from zone to zone and meeting new people . NEXDIM EMPIRE: What’s your advice to up and coming artists? MUSEBA: Work hard, create opportunities, stay humble and go where you are celebrated not tolerated. NEXDIM EMPIRE: It was nice having you on nexdimempire.com.We impatiently await your new single. MUSEBA: I’m very touched about your attention and I wish all the best to Nexdimempire ! Big love ! Young talented producer, singer and rapper DEECY is presently working on a 12-track-LP dubbed ”Wanted”. The album will definitely be mouth-watering. I just listened to ”Kongolibong” and decided to share with you on NexDim Empire. Remember during primary school days some mates were jeered and rejected for having large-sized heads. Funny right? .Call it ‘Kongolibong’ . Deecy immortalizes those moments in his hilarious song. Lol. Rosy Chicks is quite poly-musical , fusing Hip hop,Afro Beat, Dancehall and Makossa. Her artistry in singing in both English , pidgin and French gives her the advantage to cut her message across a wider audience. Her latest release ”Scandalous” features Putuputu 1 of Africa” and ‘Wifey’ hit-maker DONTOM. Interviewed on a sister site tiptopstars.com, she revealed that she is an ardent fan of the Nigerian artist. She shall be performing @ Stesa Re-union in Essen-Germany on August 24. On the heels of impressive songs like ‘Blowing ashes”, ”Crush on you” , vocalist and rapper Gee Reign is back with another solid track titled ”Njang (Deeper meaning)”. Rich , lyrical , cultural and original, Gee Reign proves his versatility on this one. It’s a song of encouragement to the employed and distressed. Worth-noting, the ”Njang” dance owes its origin from the North West Region of Cameroon. American based Pbrodaz is a Cameroonian duo with a love for Afrobeat that shows through in their music. 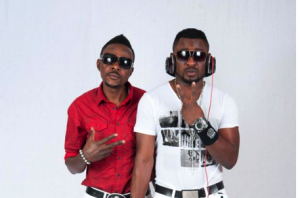 The brothers, aka Flexy and Dexzy, moved to the United States a few years ago and have moved full speed ahead with their music. They recently released a fast breaking hit called, ‘Do it your way‘, that blew up virally to give them over 100,000 views in a week. The uplifting song gets you moving as the brothers sing about doing your best and persevering through the hard times. Their album, ‘Do it Your Way‘ was released a few weeks ago in December. P Brodaz have recently paid a first official visit to Cameroon as artists, just to make their presence felt in the country as it is in the US where they are based. They have some of their songs already playing on national radios and TVs. they have promised to stage a come-back in the months ahead, in what we could term a ‘premier-sortie’, with concerts in several regions of the country. Kudos! 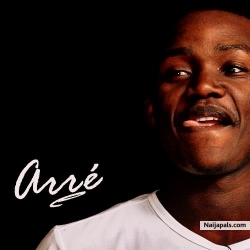 BlackTriangle sultry singer Arré has resurfaced with a sweet-sounding song titled ”Wonderful”, featuring DJ Karl and Ghost. ”You di make heart go kokokoriko, kokokoriko eh” .Beautiful rendition! West Don ‘The King of Ajebota’’ is already thriving in his Nigerian expedition. After dropping ‘Oyibo’’ , the terrific hit-maker has hooked up with famous Nigerian artist Terry G on an up-tempo smash-tune titled ‘’Bend Over’’. The song will likely create a formidable impact in the Cameroon urban music scene. The instrumental was produced by Smch Beat and Terry G and mixed by BIG EM . Empire company newbie Duc Z has been basking under the sunlight of fame after dropping ”Afrika mami”. He has released the remix of the song which brought him to the lamplight ”Je ne donne pas le lait” now featuring France-based R&B superstar Singuila and Empire company boss Pit Baccardi. Sophy Aiida is a renown TV host and actress , remarkable for hosting 2012 Kora Awards in Abidjan. The New York -based French-Cameroonian TV personality has commenced a journey into Afro-pop which looks quite promising for her. ”Break it down” is her debut single . Produced by A’Won Boyz , Melvitto, written and co-produced by Sophy Aiida. 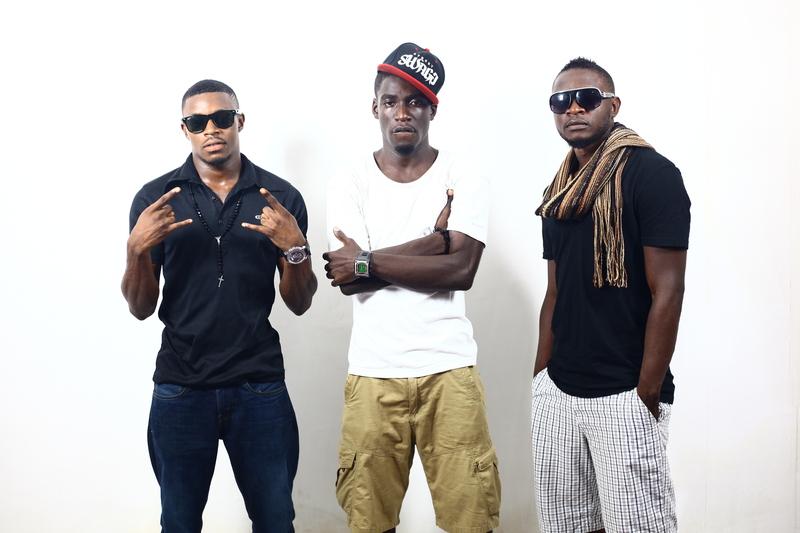 Buea-based Afro-pop/rap group L.O.L is currently getting a warm embrace from fans with their party single titled ”Njoka”. You can’t help but jive to the well-crafted instrumentals by Slim Beats. They are presently working on a debut LP . NexDim shall subsequently bring more info about the group.